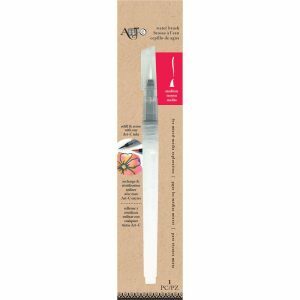 Ranger® Tim Holtz Tools Waterbrush Nib Detailer-Brush you can fill with water or Blending solution to highlight and shade, or create artwork. Fill, then dip into ink or paints and create away. Lesson by Tim Holtz here. 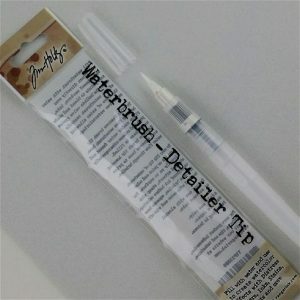 Similar waterbrushes here and here. Carolyn Good of 2 Good Claymates shares her experience here.